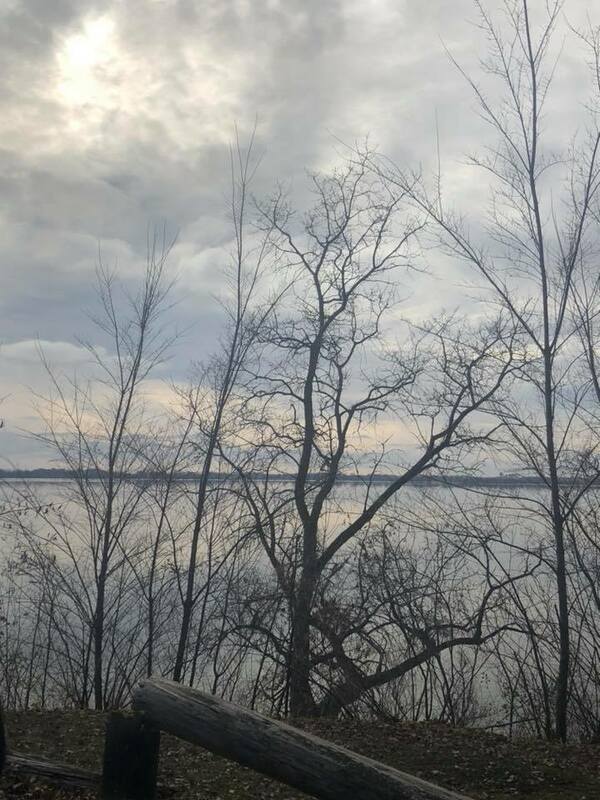 This photo was taken lakeside at Chatauqua Park, near downtown Storm Lake, minutes before the snow started to fly. Iowa Safe Routes to School (SRTS) spent some time in the surrounding areas recently making an effort to introduce communities in Northwest/ North Central Iowa to our program. So, we set up a few meetings, reserved a room, packed our bags, and away we went. One of the communities in the area we would like to focus on is Cherokee, Iowa. Cherokee has a population of 5,253 people and is the county seat. We had the opportunity to visit with Mr. Jim Leonard at Roosevelt Elementary. Roosevelt Elementary has a student population of just over 400 and Mr. Leonard is the physical education teacher. We discussed many aspects of our program, Walking School Bus, bike safety clinics (formerly bike rodeo), punch card contest, and classroom education. Our meeting was short but very positive and productive. We discussed the possibility of Iowa SRTS coming back in the late winter, or early spring to provide some bike/ped classroom education. We are very excited to work with Mr. Leonard and his students. Iowa SRTS also took the time to attempt to stop by the legendary LETCHES bike shop in downtown Cherokee. We were very sad to discover the shop had permanently closed. 🙁 Letches bike shop had been around for what seems like eons and will be truly missed in that community. Also, while in Cherokee, we stopped by the ISU Extension office and met with a wonderful lady by the name of Debbie Erpelding. Debbie and Iowa SRTS discussed the possibility of a partnership similar to the one we have with Annjanette Treadway at ISU Extension in Carroll Co. Once a year the wonderful ISU Extension office organizes a “Farm Safety” event. At these events, they bring every fourth-grade student in the county to a central location and have presenters discuss safety. We have presented bicycle and traffic safety education at these events in the past. The students also see presentations on farm equipment safety, bin safety, and from the county ambulance, and fire department. The possibility of Iowa SRTS participating in the Cherokee Farm Safety Days looks good. We are grateful for this opportunity, and foresee a nice partnership developing out of this visit. Unfortunately, our meeting at Storm Lake elementary never panned out, but through one of our partners in Northeast Iowa, we made a connection with a principal at the Albert City-Truesdale elementary school. We have reached out to principal Sarah Voyles, and are in the process of setting up a time to discuss our program. Check back next week for an update on the 2019 Iowa Safe Routes to School Conference, coming on January 24, 2019, in Des Moines, Iowa.